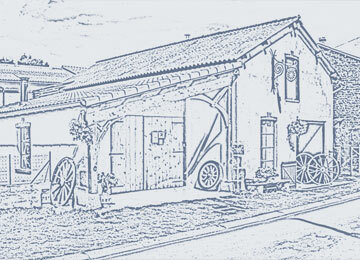 Our Services - Alain Montpied Artisan Wheelwright. My experience of being a wheelwright is rooted in family tradition, as four generations of my family have been wheelwrights. 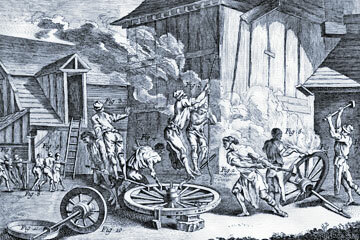 After studying mechanical engineering and training with Roger Metenier, artisan wheelwright, I settled in the workshop of my ancestors. I inherited old machines and tools that allow me to preserve the memory and history of the trade. 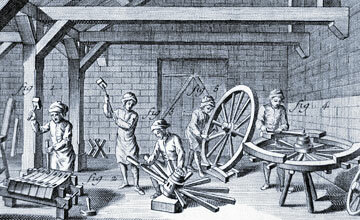 My training in mechanical engineering as well as the accumulation of the numerous documents that I gathered allow me to make plans of any identical wooden wheel (the bicycle wheel, windmill) or old vehicle. 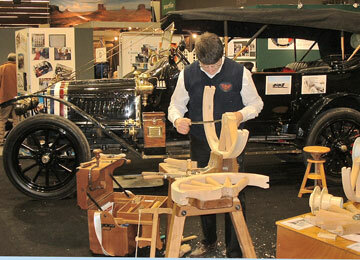 With Roger Metenier I learned to build all kinds of wooden wheels and carriages. My meeting with tyre manufacturer Michelin has been instrumental in developing the part of the business for wooden wheeled automobiles. 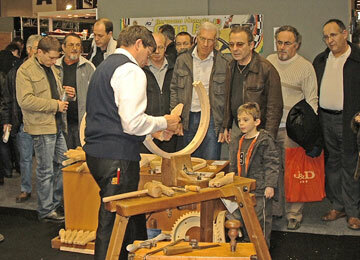 I attend many shows and exhibitions to show the public my "savoir-faire" (know-how), for harnessing, classic cars and wood. This allows me to be responsive to customer needs and to show my skills. 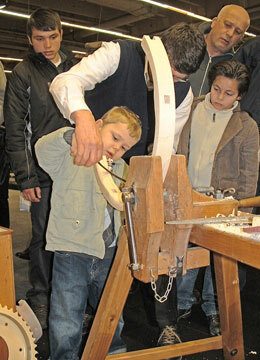 I run my stand to demonstrate my work with hand tools so that the public can discover the craftsmanship of a wheelwright.